BARANGAY Ginebra made its first move in Frankie Lim's time in charge by trading seldom-used players Dylan Ababou and James Forrester to Barako Bull for the Energy's first-round pick in the next PBA rookie draft. The deal approved by the PBA Commissioner's Office on Tuesday should mean more playing time for two highly regarded players coming out of the draft who never got their chance to shine at Ginebra. Ababou was the 10th pick overall in the 2011 draft whose growth at Ginebra was stunted both by injuries and lack of playing time under a virtual revolving door of coaches in the popular ballclub. On the other hand, Forrester was the fourth pick overall in the 2013 draft who was chosen by Ginebra ahead of GlobalPort rising star Terrence Romeo and just behind giants Greg Slaughter, Ian Sangalang, and Raymond Almazan. Forrester, however, never got his break in a Ginebra team loaded in the backcourt with such players as LA Tenorio, Mark Caguioa, Jayjay Helterbrand, Eman Monfort and Josh Urbiztondo. 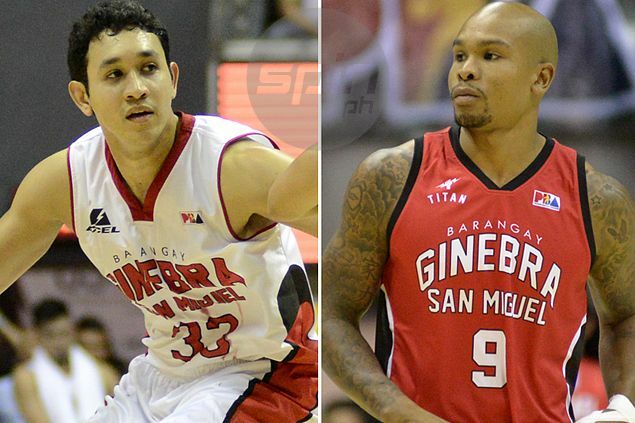 By giving away the two, Ginebra will have a more compact rotation to work with in the Lim era while getting a chance to grab a top player from a draft class that should include Moala Tautuaa and Bobby Ray Parks. Based on Barako's performance this season, the team's draft pick is expected to land in the top four. Unlike in the previous seasons when a lottery was held to determine the order in the top draft places, the order this season will be solely based on performance - with the team with the worst record picking first and the No. 1 team picking last.